Notice inviting applications from eligible candidates for Apprenticeship Training under Apprentices Act 1961 in V.O. Chidambaranar Port Trust. V.O. CHIDAMBARANAR PORT TRUST MECHANICAL & ELECTRICAL ENGINEERING DEPARTMENT PERSONNEL SECTION, Is Looking For Eligible Candidates For Apprentice Training Under Apprentice Act 1961. So Interested Are Requested To Submit Their Offline Application Form Within The Given Time. 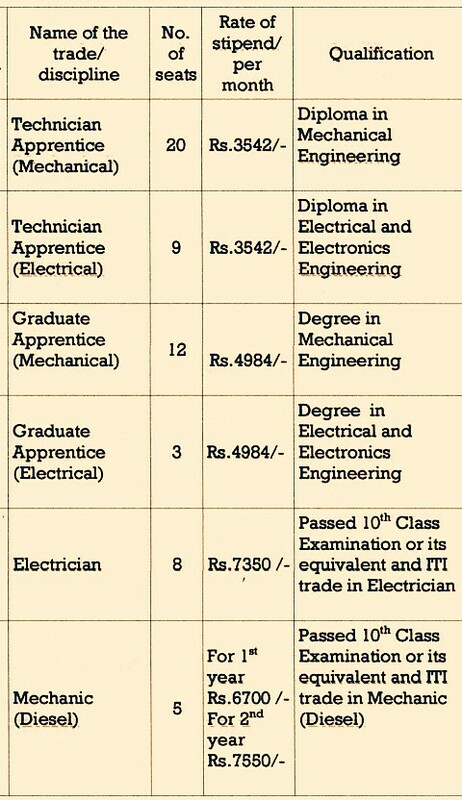 Various Apprentice Posts →72 Vacancies, Kindly Do Check Out The Image's Below For Name Of The Discipline, Number Of Vacancies, Educational Qualifications, Stipend Rate. B. Eligible Criteria For Apprentice Training VacanciesVacancies In VOC Port Trust Recruitment 2019. Educational Qualifications →Check Out The Image's. Mode Of Examination/Selection Process →Have To Sit For Apprentice Test Under Apprentice Act Of 1961. How To Apply/Last Date For Offline Application Form Submission →Interested candidates may send their applications addressed to the Chief Mechanical Engineer, V.O. Chidambaranar Port Trust, Tuticorin - 628 004 so as to reach on or before 15.04.2019 along with copies of certificates of educational, technical qualification, community in respect of SC/ST and Transfer certificate. The selected candidates should register their details in National Web Portal. For More Info →The Official Website..
Now Apply For VOC Port Trust Apprentice Recruitment 2019. Click Here To Download Both Official Offline Application/Notice.